Liga4Fun - Jetzt mu� alles raus! Wir haben uns durchgerungen den verpatzten Start der DM 07 in 6on6 ET wegen Homepage Problemen (diese wurden jetzt behoben) usw. diesmal durchzuziehen egal was kommt. Alle Clans die bis jetzt in der Warteliste standen wurden gel�scht. Ab sofort kann man sich bis zum 8.Mai anmelden, Start der Deutschen Meisterschaft ist der 12.Mai. Es wird voraussichtlich kleine Vorrunden Ligen geben bis unsere Finalcup Gegner feststehen, hierzu sind alle deutschsprachigen Clans eingeladen. 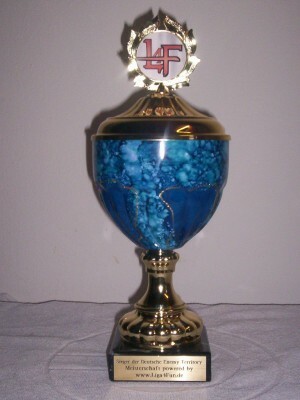 Bis jetzt waren wir mit unseren L4F Regeln sehr kulant in der Liga4Fun dieses mal wird penibel drauf geachtet das alles richtig eingehalten wird den es geht auch um was n�mlich um 7 Liga4Fun DM Pokale (36cm) f�r den Sieger auch der zweitplatzierte darf sich auf 7 gro�e Medaillen freuen nat�rlich geht der drittplatzierte nicht leer aus, hinzukommen nat�rlich kleine Zusatzpreise. Zu den Regeln es werden ausschlie�lich die 6on6 ET Regeln verwendet sprich in den Vorrunden Ligen werden 3 Maps vorgegeben die zur Auswahl stehen im Finalcup d�rfen die Clans selber endscheiden. Also Ran an die Warteliste bei dieser einmaligen Chance. Sollten Probleme auftauchen stehen wir im IRC fast rund um die Uhr zur Verf�gung im Quakenet #Liga4Fun oder auf der Homepage L4F Admins. --> Und hier geht's zur Liga4Fun! 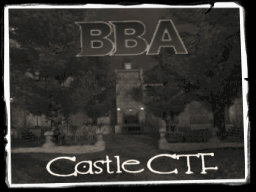 It's a classic Capture the Flag map, set in and around a large castle, with capturable spawns to the East and West. 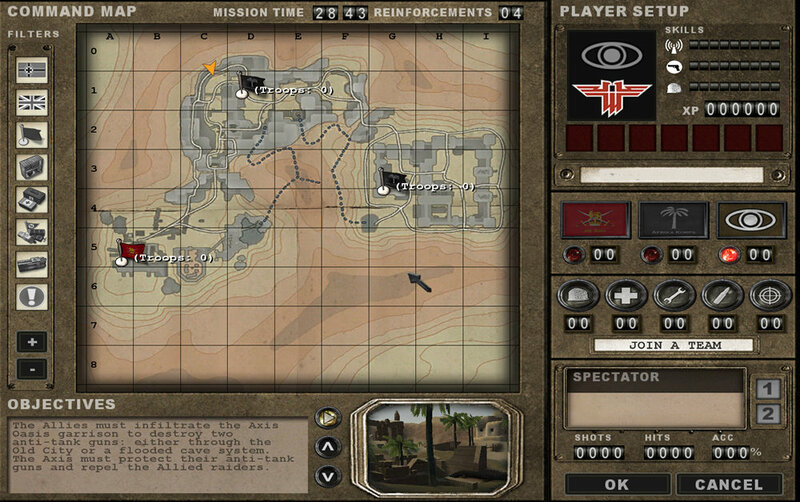 A multiple layered map with the flags located on the main top level, while the command posts for either team are located on the lowest level. Allied intelligence has learned of the existence of Operation "His Beard", a top secret project that the Axis top minds have been working on. If the Allied command could get there hands on the information contained within these files it would help them plan for a swifter and more decisive victory in the entire North Africa campaign. 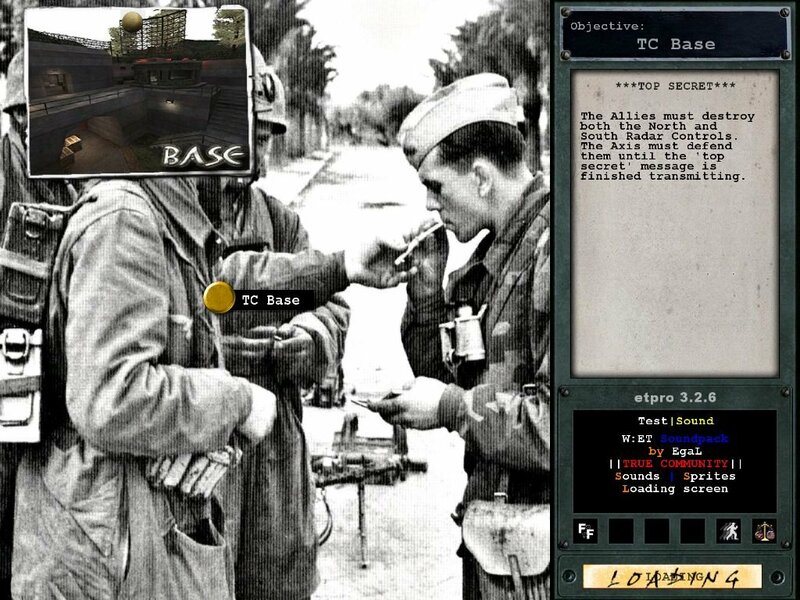 The Allies have put together a small strike force to attempt to break through the Axis defenses and steal the documents they are guarding. Needless to say, the Axis soldiers can not allow this to happen, and must defend the town at all costs. 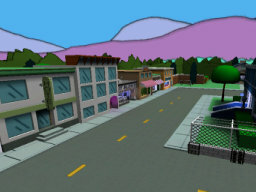 This map has been updated and modified in order to provide some new gameplay dynamics. First and foremost, the tank has been made indestructible in order to prevent the sometimes impossible task of escorting it to the town gates. The tents near the tunnel exit have been replaced by ruins. An alternative route has been made that allows the allies to go around the main route. And of course, most obviously, the setting has been made into a night map. RtCW-Prison ist tot! Lang lebe ePrison! Gestalt die Inhalte von ePrison selber mit! Eine Registrierung ist nach wie vor freiwillig und kostenlos. Verzichtet ihr allerdings darauf, so werdet ihr viele User-Optionen nicht nutzen k�nnen. Darunter f�llt das neue Browserspiel The Battle oder das neue Punktesystem, das bei ePrison zum tragen kommt. Auch die Clanverwaltung wurde �berarbeitet sowie das komplette User Interface. Wir hoffen nat�rlich in eurem Sinne gehandelt zu haben und auch das ihr euch in dem frisch renovierten Gef�ngnis besser aufgehoben f�hlt als bisher. Lebenslang soll doch so angenehm wie m�glich sein. Die Beta Zeit zum austesten der Seite wird etwa eine Woche andauern, in dieser Zeit ist eine Registrierung noch nicht m�glich, jedoch k�nnt ihr alle Funktionen wie Downloads, Reviews lesen usw voll nutzen. Ab sofort wird es keine News mehr auf den alten bekannten Prison Network Seiten geben, denn diese werden vollst�ndig auf ePrison.de erscheinen. 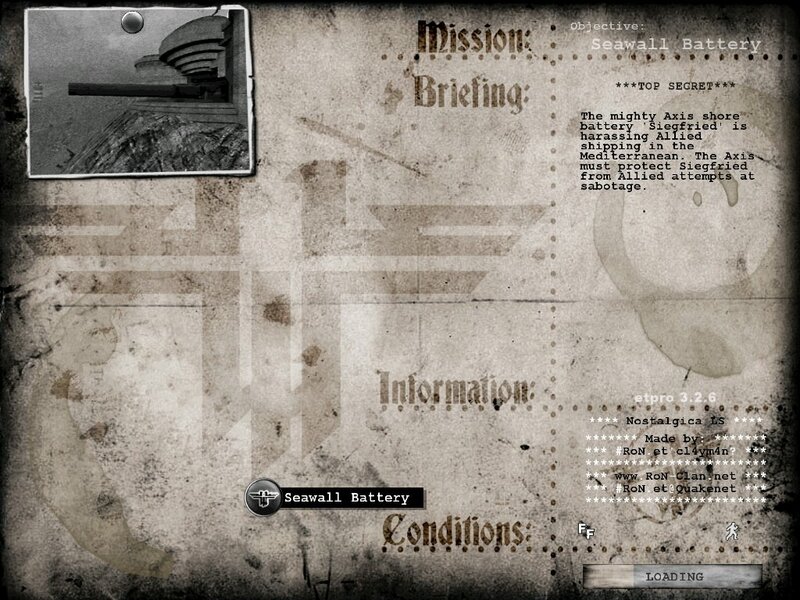 Since I like the old RtCW loading screens I wanted to create a (kinda) similar one for ET in an old and dirty looking style without the ugly borders to make it more look like ONE part. So... here it is... :D ~#RoN.et'cl4ym4n? The axis are complete dressed in black, but still good to differ (like the stock skins). 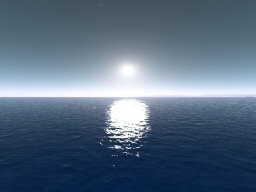 Fits to all maps, equal if the scenario of the map is temperate, snow or desert. One day after I released the first version of this skinpack, I spotted a glitch with the guised bodys. Also made with |WF|Doofy a few changes wich make the skinpack looking better than before. Pretend yourself in an cartoon. But then with a sniperriffle. Strogg font for anyone who has a hankering to type in Strogg. UPDATE: The download file has bee updated with a small bugfix. EgaL of RtCW 4 ever! made a graphics- and soundpack to honor all the community sites wich still really care about Wolfenstein and the players. (D.SS)N4n0basti hat sich die M�he gemacht und die Men�f�hrung von ETpro 3.2.6 auf deutsch �bersetzt. Zum Installieren einfach die pk3 in den Ordner "etpro" kopieren. Fertig! 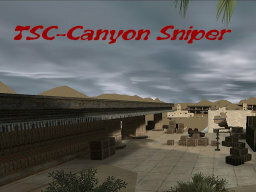 The TSC Canyon-Sniper is a mirrored map containing two temples and lots of houses. You can get a lot of covers for all styles of sniping. The Parazit-Clan presents the Heineken skinpack for Molotov cocktail. 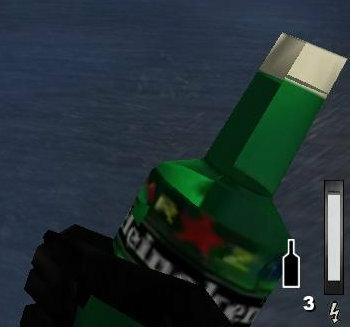 Original Molotov cocktail texture have been changed to Heineken Beer. Cheers! "Im very pleased to announce that the ETQWPro version is now live on our update servers and will get installed as soon as you start ETQWPro 0.4 the next time. No, its not that easy but there is indeed some great change in the whole mod. While I was focusing on the whole GFX stuff to get you guys as much FPS as possible, I had blaze to work on the restrictions and NA / EU compatibility." ETQW will be slightly more accurate! es_fastSalvage - Adds a new spawn to the game. Fixed a bug when selfkilling in a medium vehicle, the other medium vehicle stays locked! Fixed the Fast unscope (lean) bug. You can now do all fancy stuff @ lean, but not shoot! Added es_maxMines - defaults to -1, set to the max number of mines you want to allow for a team. Breaking news: we can use the horn under water! Added viewers command to get see who is spectating with you! I always liked the look of the Venom Troopers in RtCW, so I decided to create a skinpack as hommage to RtCW and the countless hours of fun I had with this game in singleplayer and multiplayer. If a covert takes an enemy uniform, the dead body wears a fitting uniform. GameProphets.com und s�mtliche gehosteten Projekte wie auch PlanetQuakeWars.net waren seit dem Abend vom 25.03.07 nicht mehr erreichbar. Leider musste unser Server kurzfristig vom Netz genommen werden, da sich ein Root-Kit durch eine Sicherheitsl�cke einschleichen konnte. Wir haben diese kleine auszeit jedoch genutzt und sind direkt auf unseren neuen Server umgezogen. Durch die umstellung des DNS Servers waren dadurch manche Seiten in den letzten Tag nicht oder nur schwer erreichbar. Wir danken f�r Euer Verst�ndnis und w�nschen Euch weiterhin viel Spass auf unserer Seite. The GDF must fight their way into a Strogg fort and disable their communications equipment. A trickjump map from the clan Spiders From Mars. How the name already says, the whole sceanrio is set in a very nice ocean scenario. 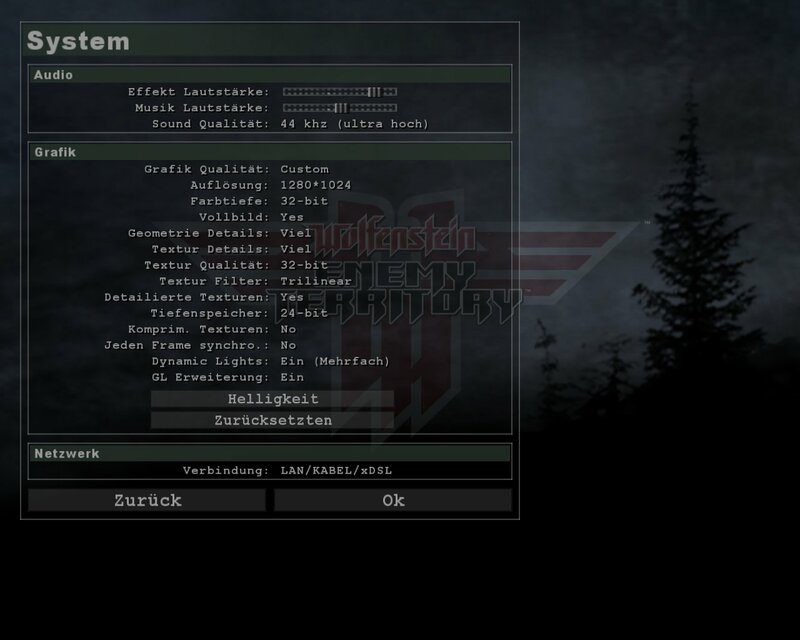 clan-ll.de*SHOOTER1 made a song for Enemy Territory: Quake Wars. Should fit into a Quake wars video. A GDF taskforce has landed on the south beach and must fight their way to the north side of the island, so they can open the databunker, steal the activation codes and transmit them. Allied forces are attempting to steal Launch Codes from an Axis rocket installation. X-ray anti-cheat has today announced its support for ET and have recently added it to its game list. The software which is used in many other games has the backing of the UK's largest league, Enemy Down and has a very active development team. The software is clientside and requires users to create an account and download the x-ray software. The software then forces screenshot uploads and scans your computer for cheat processes. On top of this the software has a very active support system in which the ET community is welcome and encouraged to participate in aiding them detect new cheats that have been released. 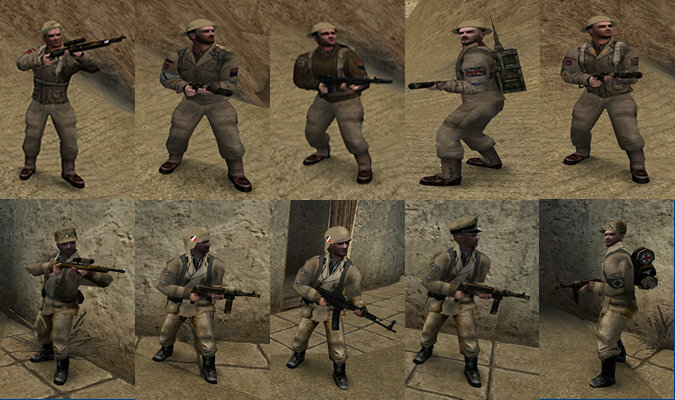 The clan [TUS] The Unknown Soldiers presents the skinpack 8th Afrika Korps. The uniforms was reworked with permission from the authors above by von Eichenlaub. 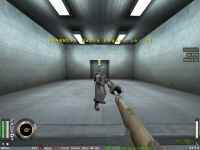 Crossfire Department is a comic about game called Wolfenstein: Enemy Territory and it's community called Crossfire. EgaL made a pack of TeamSpeak Sounds in RtCW style. 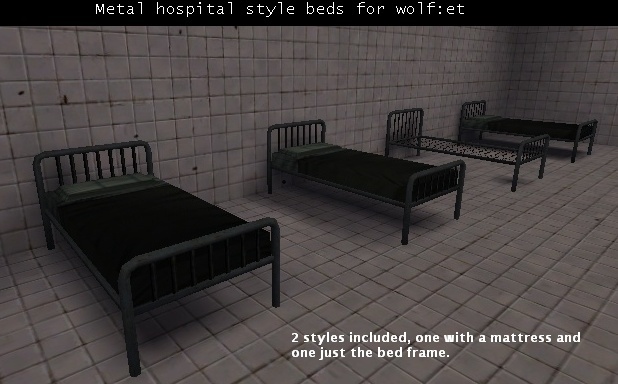 A must-have for every Wolfanstein player! This second version fixes a few bugs the first version had and as extra he added a second sondpack with the bani sounds. The latest version of MAXBrowse is now available for download. For those who haven't tried MAXBrowse before, it is a server browser created with the aim to be as easy to use, and without adding unnecessary baggage. This version adds support for some Q3 engine games - Q3, ET, and Warsow, as well as the latest D3-engine game, ETQW. There are also some requested feature additions, such as minimise to systray, improved accuracy of pings. For full details, check the changelog. Note that the TV filter now works for those games which support TV servers (ETQW, ET, Warsow, Q3 and Q4), but that for Q3 and Warsow the TV's don't report to the master server, so you have to add the IPs in manually. Inhaltlich dreht sich die Seite nicht nur um die Jawohler, es behandelt auch geschehnisse am Strandabschnitt, neue Erzeugnisse von der Bruderschaft des Erbauers, Dokumente, neue Spielware, den G�ldenen Hirschen und um aktuelle Geschehnisse aus Ja-wohl objektiver Sicht. --> F�nf Gute Gr�nde f�r�s JAWOHL!